May 19th is Bike To Work Day, and you should be biking! Even if you’re like me, with a measly 3-1/2 block commute, just show up to a pit stop station and show your support. Register in advance for a free T-shirt and pick one of over 85 pit stops to give a high-five and find food, drink and prizes. You already know bicycling is a healthy way to commute to work. And less stressful! 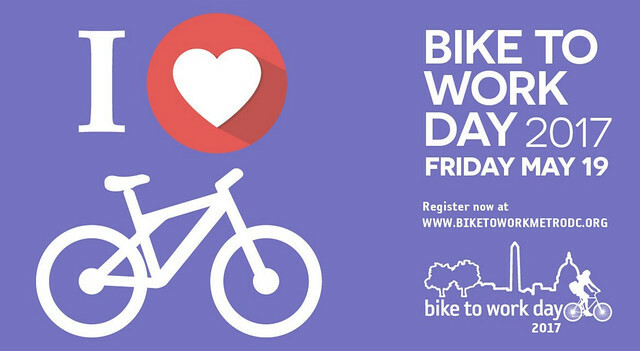 Commuter Connections and the Washington Area Bicyclist Association are sponsoring this Day, so ride over and get with the program! Find a list of Pit Stops (in DC, MD and VA) here.